Most restauranteurs would kill to have the premises that Casa Pastor has managed to snag for itself. 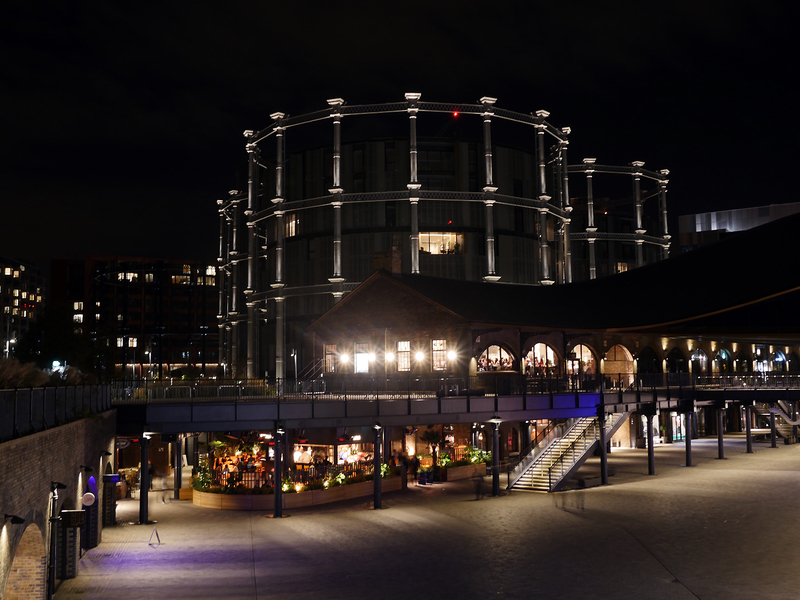 The handsome Victorian brick-and-iron building near Kings Cross sits in what was once a coal sorting yard – the plainly named Coal Drop Yards – almost literally under the shadow of a pair of cast iron gasholder frames. 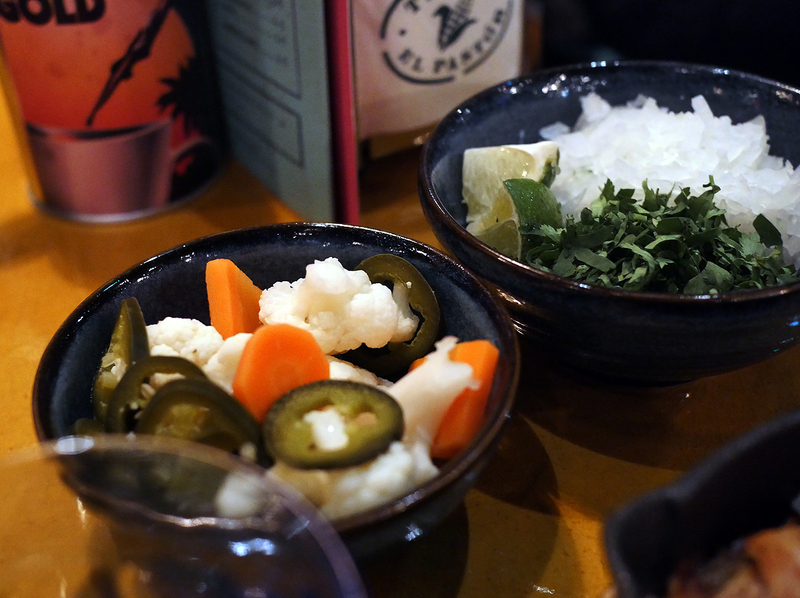 It’s a locale that maintains a fitting level of continuity with Casa Pastor’s antecedent, El Pastor, which is located in a similarly attractive railway arch near Borough Market and London Bridge station. Uncomfortable issues rear their head though once you start looking more closely at Casa Pastor’s locale; issues of quasi-public urban space, whom it’s designed for and how it’s used. It’s undoubtedly refreshing to see a new retail and dining development in London making use of existing architecture, rather than demolishing it to make away for blandly conformist and unimaginative boxes of glass and steel. But the Coal Drop Yards development is also unabashedly a boutique shopping centre for the wealthy – some of the shops sell wares so pricey, they don’t even have price tags on them. The various Westfields may be identikit consumerist hellscapes that simultaneously make one feel claustrophobic and agoraphobic, but at least they attract actual Londoners of all ages and backgrounds. Whether anyone will ever visit the Coal Drop Yards in meaningful numbers (anyone aside from workers at the nearby Google HQ looking for stuff that can’t be delivered to their desks by gig economy couriers poorer and less white than they are) remains to be seen. Then there’s the (hopefully) inadvertent symbolism of the Casa Pastor building itself. A branch of Barrafina, the Spanish tapas mini-chain which shares the same owners as Casa Pastor, is found inside a separate building that sits directly on top of Casa Pastor (and by extension Plaza Pastor, its covered courtyard sibling with a different menu). I don’t think I’ve ever seen a more striking physical symbol of colonialism and its legacy, in London at least, than a Spanish restaurant literally bearing down on a Mexican restaurant. You won’t leave feelin’ gassy. All of this, of course, ultimately plays second fiddle to the food on your plate. 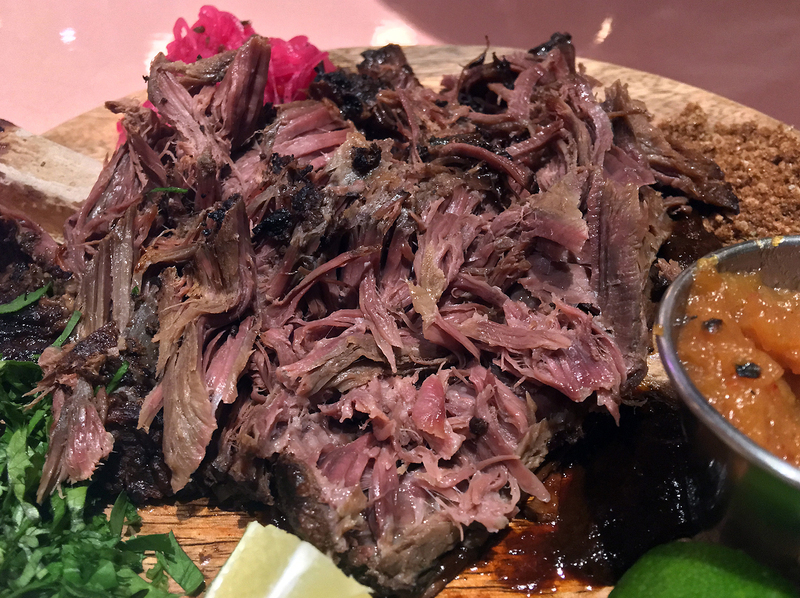 It’d be one thing if Casa Pastor improved upon El Pastor to set a new standard for Mexican food in London. 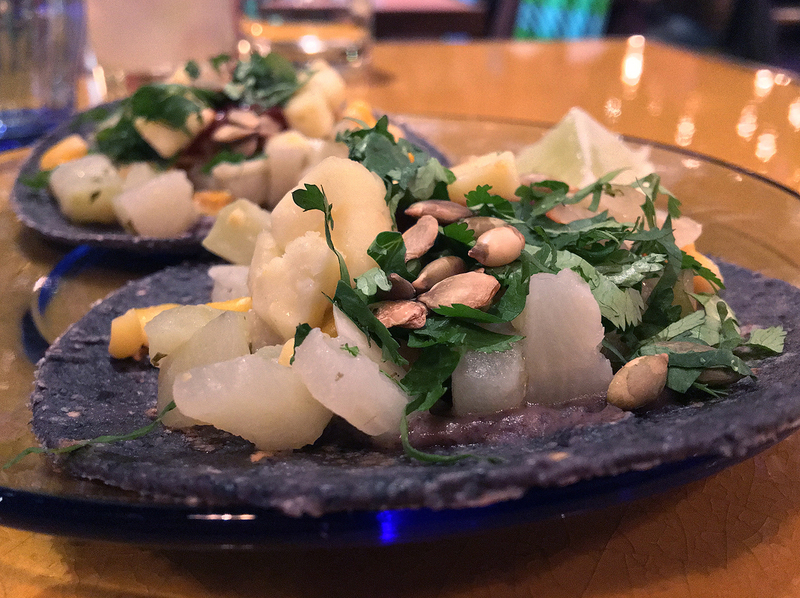 But while Casa Pastor’s menu certainly has more choice than the original menu at El Pastor, it takes two steps back for every step it takes forwards. 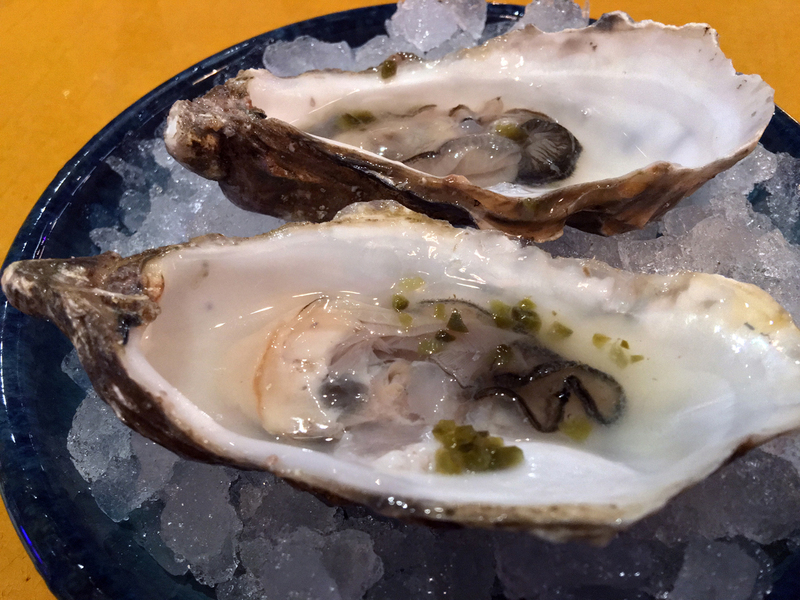 Oysters at Casa Pastor were disappointingly limp and watery. Both of the available variants, garnished with either smoked jalapeno or ‘worm salt’, weren’t anywhere as interesting as one would think. Disappointing. 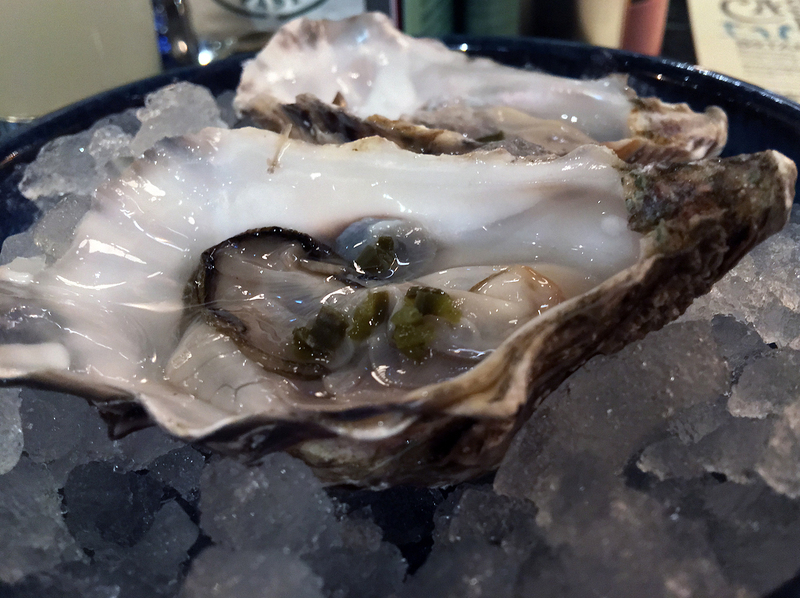 London is your oyster, so don’t eat these. These were allegedly the ‘worm salt’ oysters even though they look very similar to the smoked jalapeno variant. Tostadas used crunchy, nutty tototpos which weren’t at all stodgy. 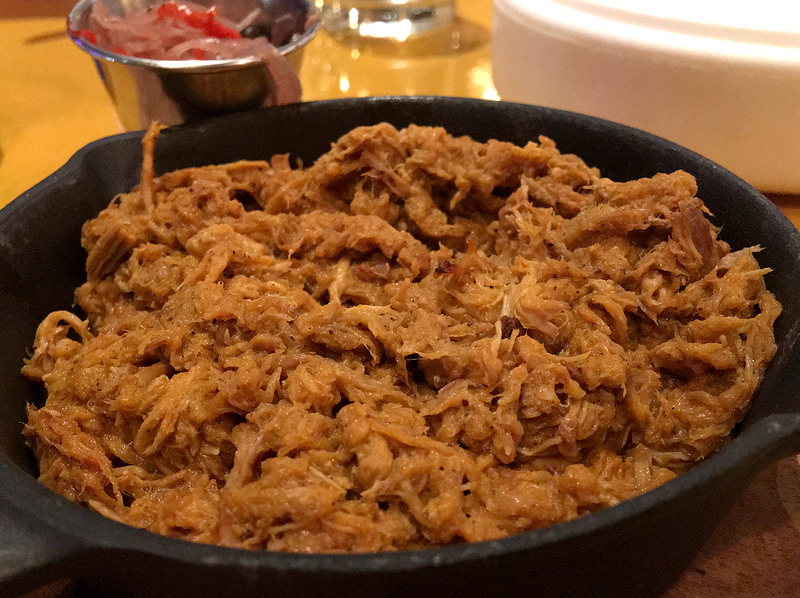 All three of the available toppings were enjoyable, but the Yucatan-style cochinita pibil was by far the most remarkable. The woody bark and smoke tinged meat was even better than some of the versions I tried in the Yucatan itself. Raising one’s glass to make a tostada. 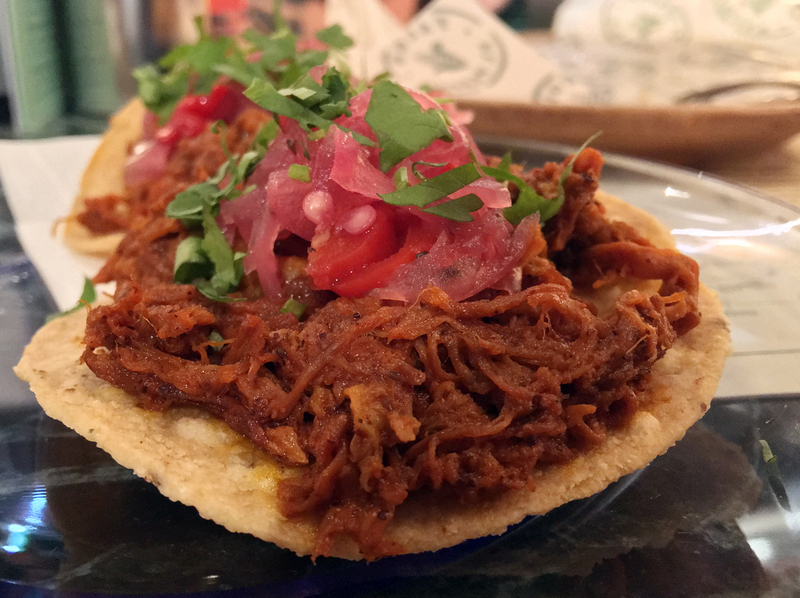 Tostadas topped with tuna nipped at the heels of the cochinita pibil in my affections. The gently umami cubes of fish were made even better by a lightly piquant guacamole and surprisingly potent sesame seeds, possibly bolstered by a cheeky squirt of sesame oil. The weakest of the three tostadas had to be the one topped with beef. It was far from bad with the tender, sweet strips of beef pepped up by a fruity, tart dressing – it merely paled into comparison next to the pork and tuna versions. 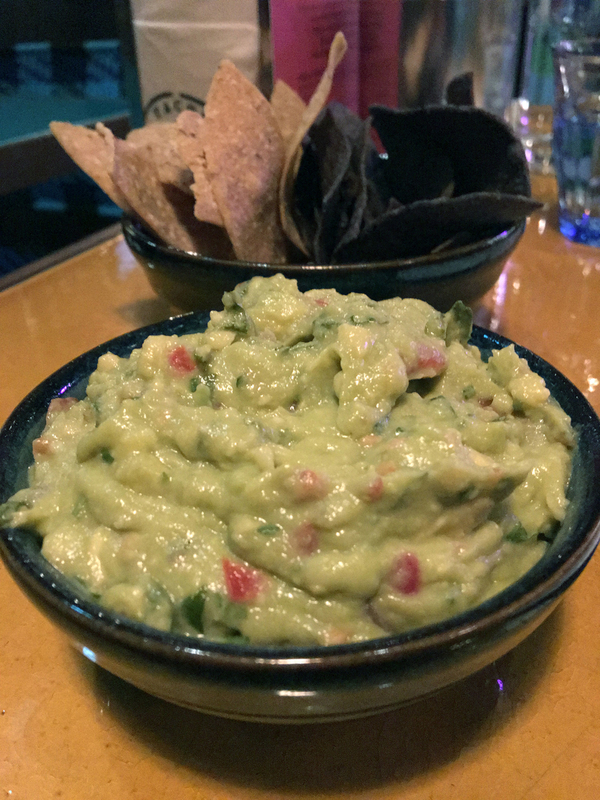 The same high quality totopos accompanied a hearty helping of guacamole. 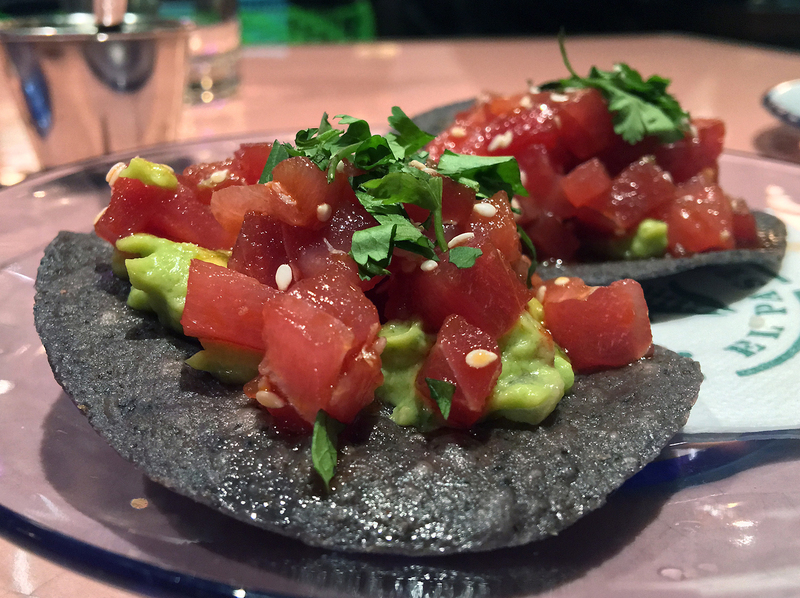 It tasted more of tomatoes and lemon juice than avocado though, so Santo Remedio‘s far superior version has little to worry about. 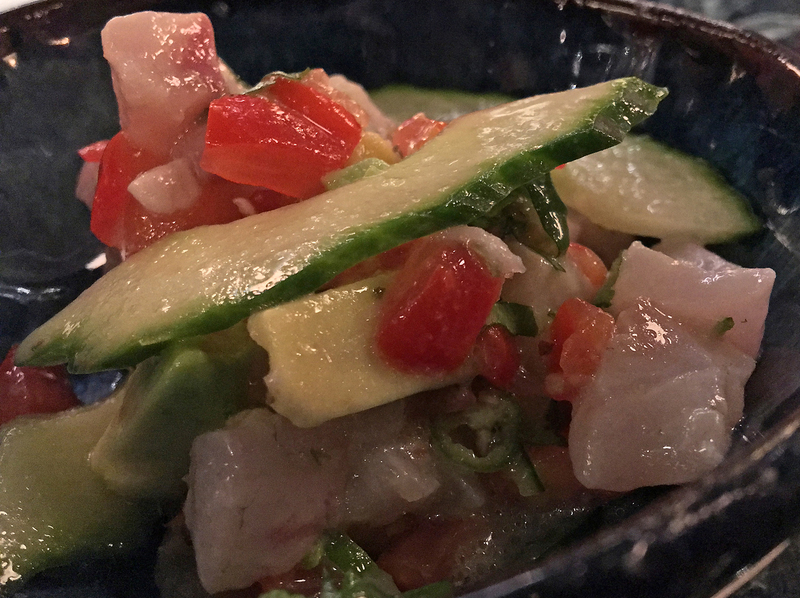 Casa Pastor’s ceviche saw the gently chewy strips of fish tenderised by a sharply citrusy sweet dressing. While pleasing enough, it was easily upstaged by the aguachile. 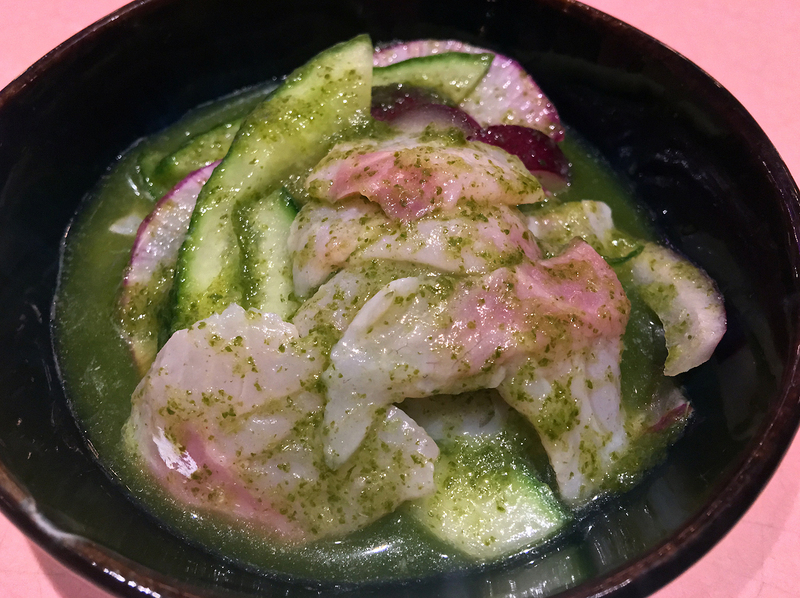 Meaty bass, accompanied by crisp radish and cucumber slices, came in a lip-puckeringly zesty brine. Its electrifying tartness lingered long after the empty dish had been cleared from my table. Pink tables can play a surprising amount of havoc with the colour balance and colour accuracy of a photo. Cooked prawns had little to say for themselves, but they did come in a thick sauce tinged with umami and a tingly, somewhat tabasco-like heat. 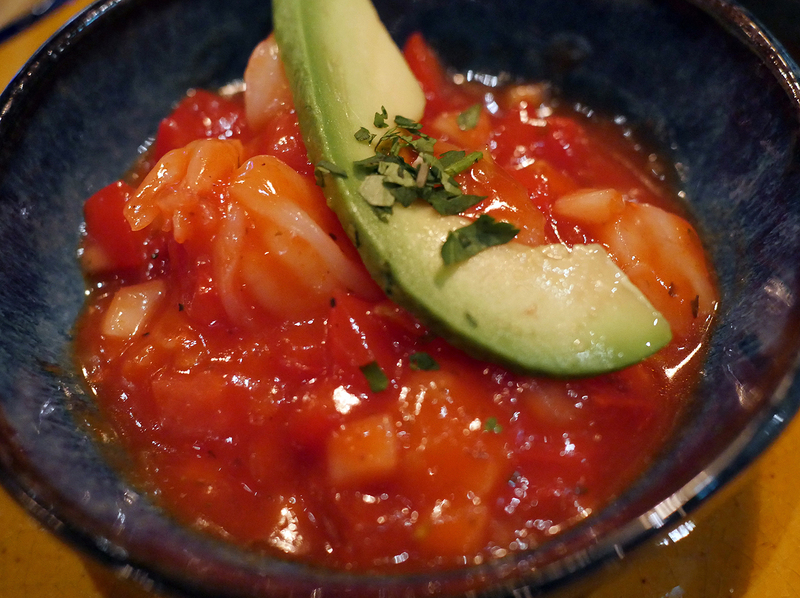 This crimson prawn cocktail wasn’t the dullest of Casa Pastor’s seafood starters – that dubious honour went to the bitty clams served in a sauce that was, at best, lightly sprightly. 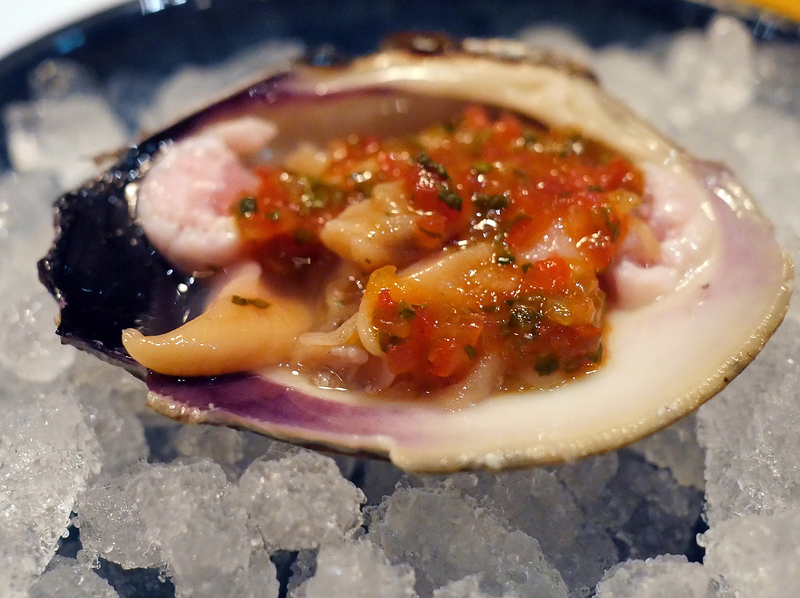 This Cherrystone clam dish has nothing on the (admittedly very non-Mexican) version sometimes found at St Leonards. So blessed be the creators of Photoshop. 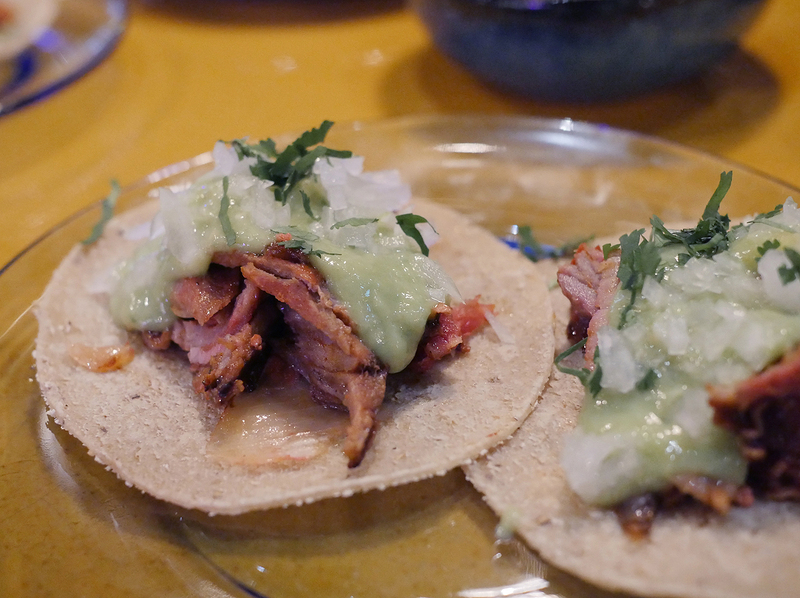 Although the tortillas used in Casa Pastor’s tacos had a bumpy start, they eventually made the jump from excessively smooth and somewhat plasticky to fluffy smooth and soft with a hint of nuttiness. 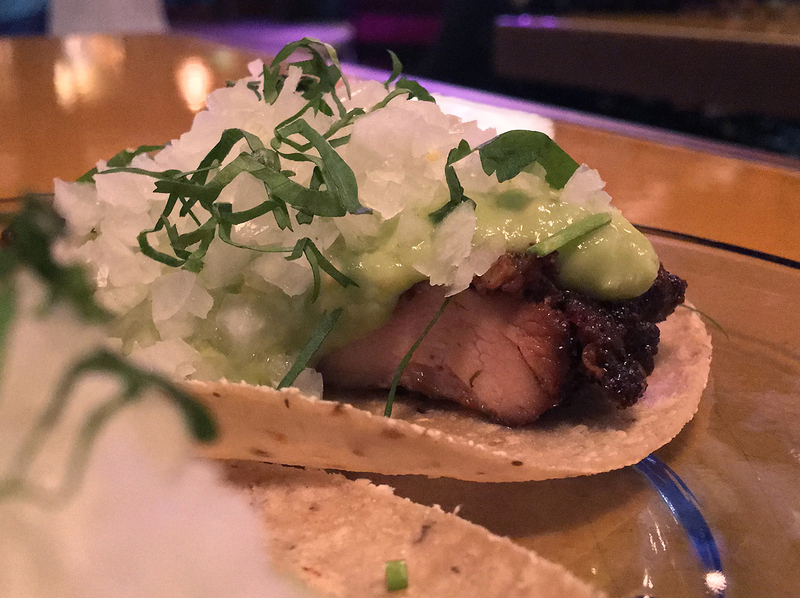 Given the trouble the original El Pastor had with getting its eponymous al pastor tacos just right when it first opened, I approached Casa Pastor’s version of the dish with some trepidation. On its first time around, the pork was almost like Cantonese char siu in its fruity woodyiness, but with a hint of smoke. Its richness was neatly offset by sprightly coriander and chopped onions. It was far more subdued on a second pass, almost to the point of blandness, but returned to form on a third. 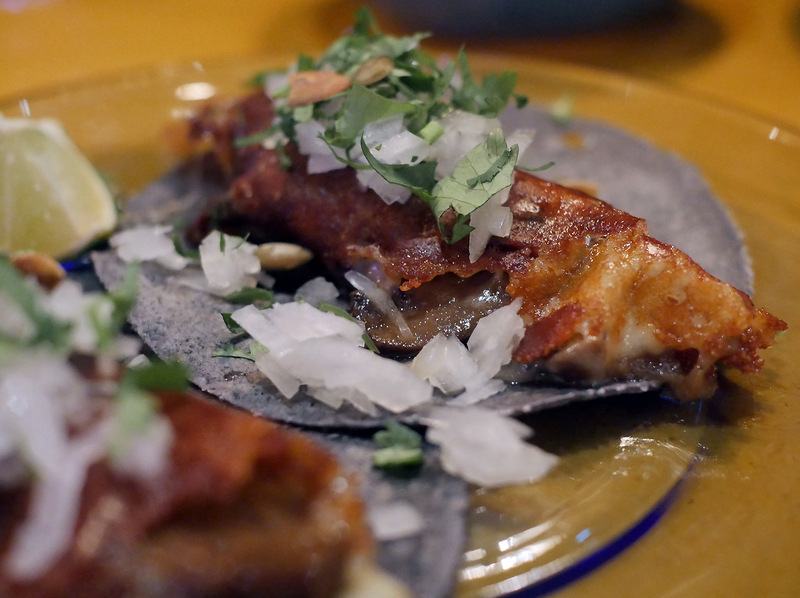 Even then, it never reached the eye-opening heights of El Pastor’s very first version of al pastor tacos. Still, ‘very good’ is a respectable groove to settle into. 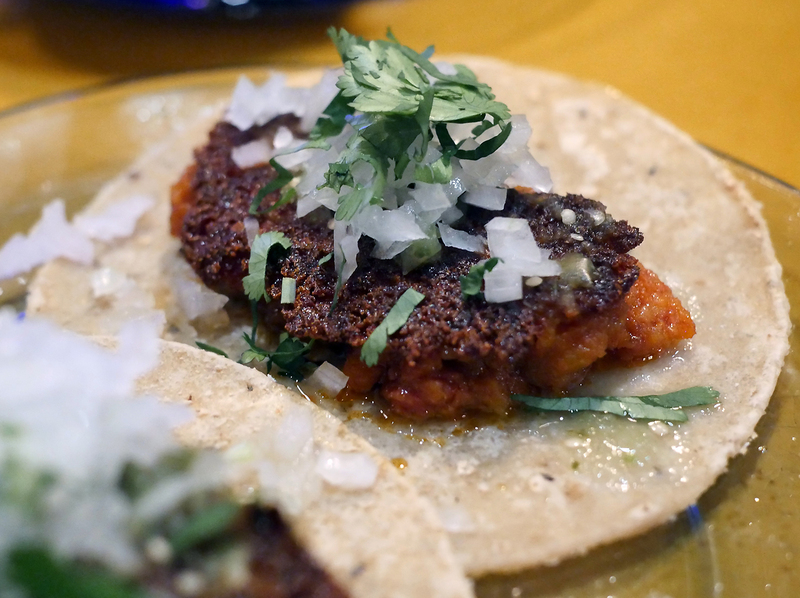 The continual wobbling in El Pastor and Casa Pastor’s al pastor tacos is quite perplexing. 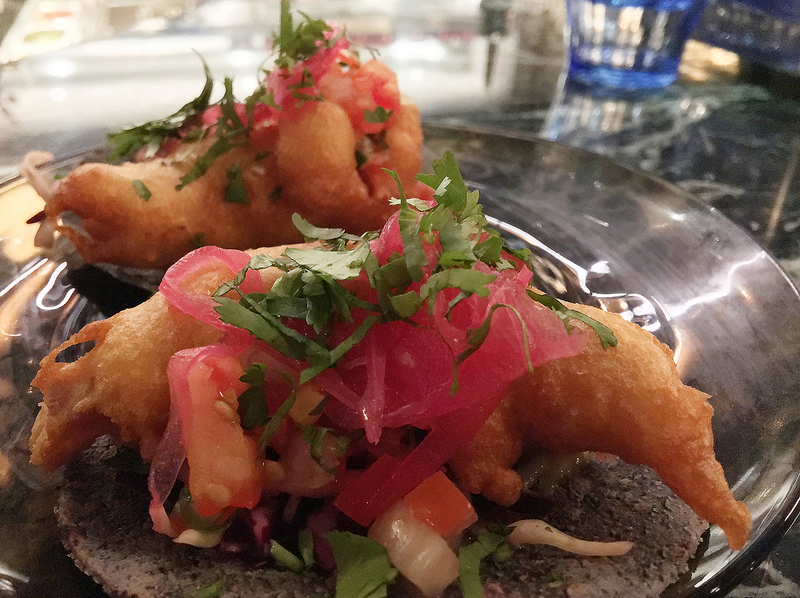 The battered fish tacos weren’t swimming in oil, but a sharp fruity relish. 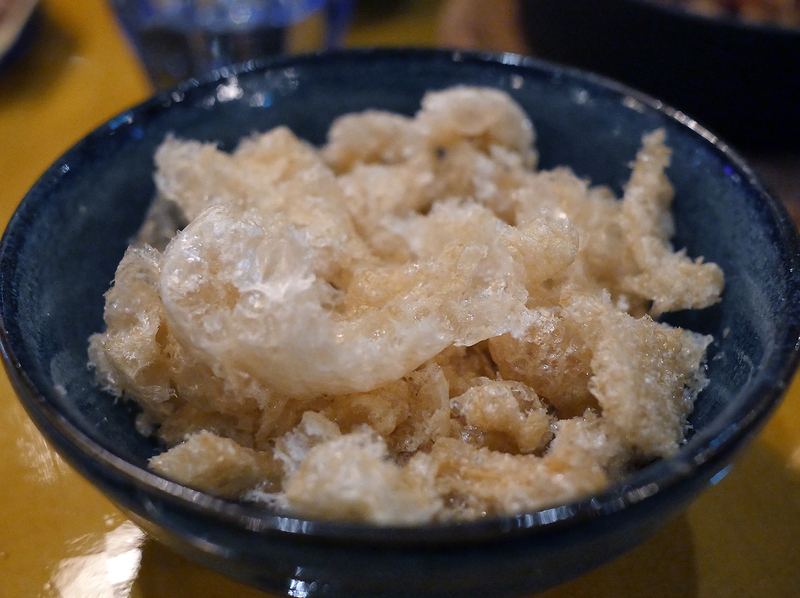 It was an apt partner for the meaty flakes of white fish and the light, crunchy batter encasing it. Don’t go fishing in the Regent’s Canal. Mushroom tacos were an odd beast with the fungi wrapped in a thin layer of fried Oaxacan cheese that had taken on the appearance and texture of a crispy fried egg. While hardly unpleasant, the ovified cheese obscured whatever qualities the mushrooms may once have had. Tacos filled with chorizo and potato proved to be oddly bland and unmemorable, as if both sides had cancelled each other out. The entire length of the canal makes for fine walking though. Sweet, crisp and starchy chayote pieces made for a fine vegetarian taco filling. There was a bit too much filler sweetcorn, but not even that cheat could spoil these tacos. Prawns were cooked so that they were just on the right side of tender. 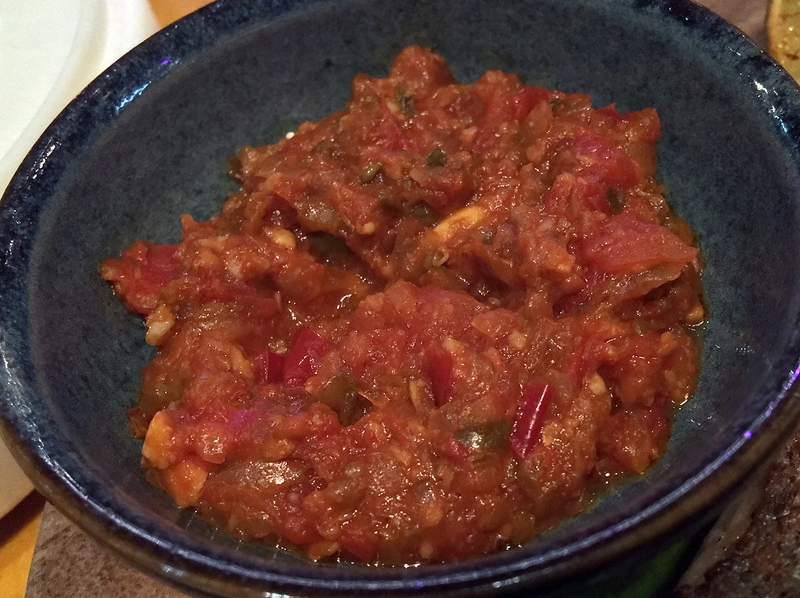 Accompanied by sharp diced onions and a lightly zingy dressing, they made for a highly respectable taco filling. I try not to yammer on about yabbies. Chicken was only somewhat smoky and sweet, but it still made for a passable taco filling as it came blanketed in sharp, diced onions. Ah Chicken, my nemesis. We meet again. 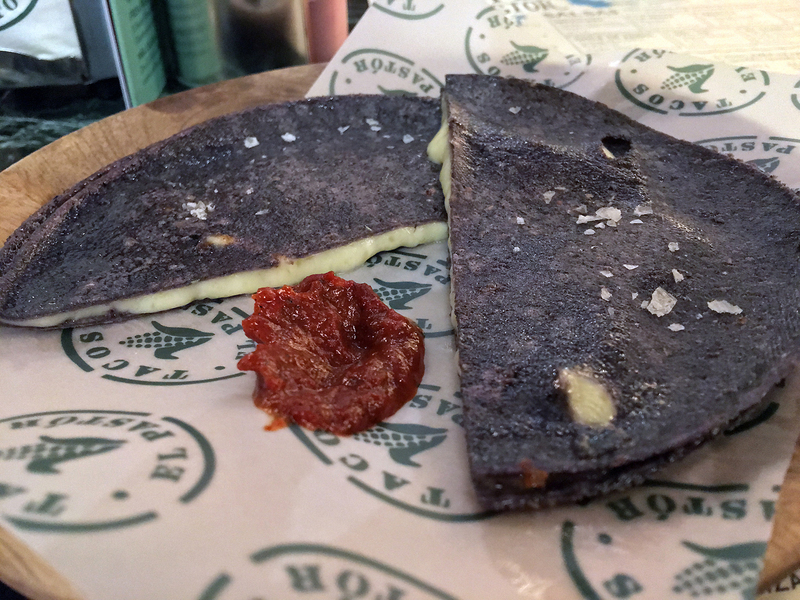 The ‘plain’ cheesy quesadilla used a tortilla that was only just on the right side of leathery. Although the melted Oaxacan cheese didn’t quite have the salty addictiveness I was expecting, its elastic gooeyness and the smoky piquancy of chipotle helped paper over these cracks. 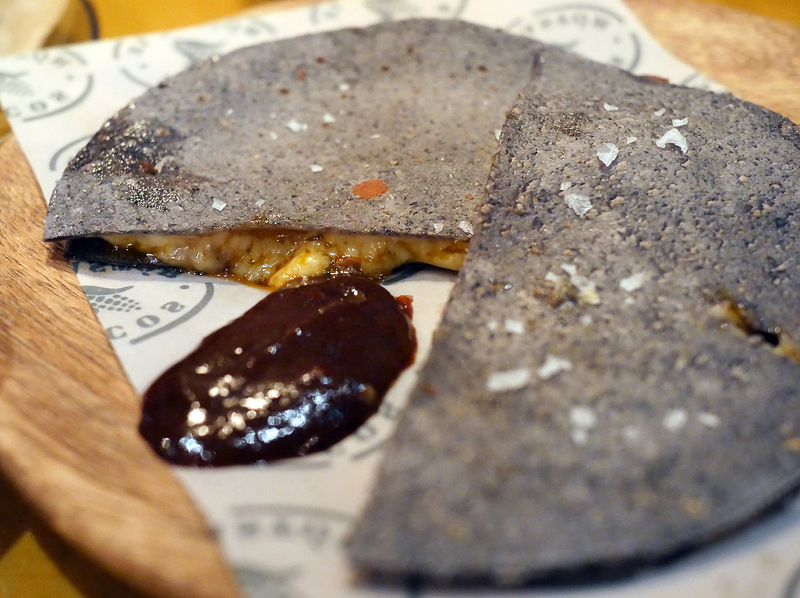 That sauce, which proved to be such an asset in the standard quesadilla, proved to be a liability though in the quesadilla variant filled with butternut squash where it obscured the fruit’s qualities. 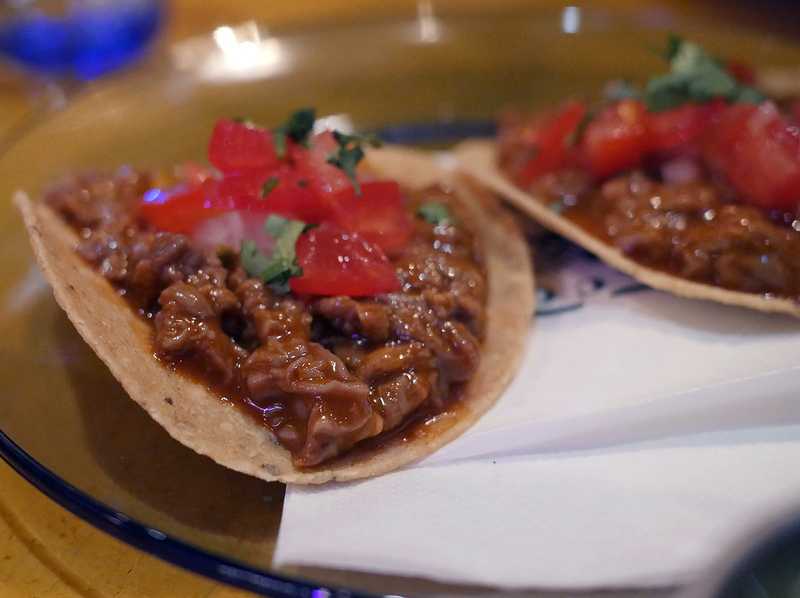 Although described as ‘sharing plates’, all of the DIY meat tacos that I tried were just about small enough to be devoured by a lone, ravenous diner. The beef short rib was easily the weakest of the lot. Although tender, it was a dull and joyless affair with only the modest exception of the gelatinised connective tissue close to the bone. The demerara-chipotle mix proved to be too sweet and there wasn’t enough of the pickled onions to go around. The fruity sweet piquancy of the vibrant sauces were the few saving graces here. I hate to say it in this context, but Texas Joe’s does a far, far better Jacob’s Ladder. 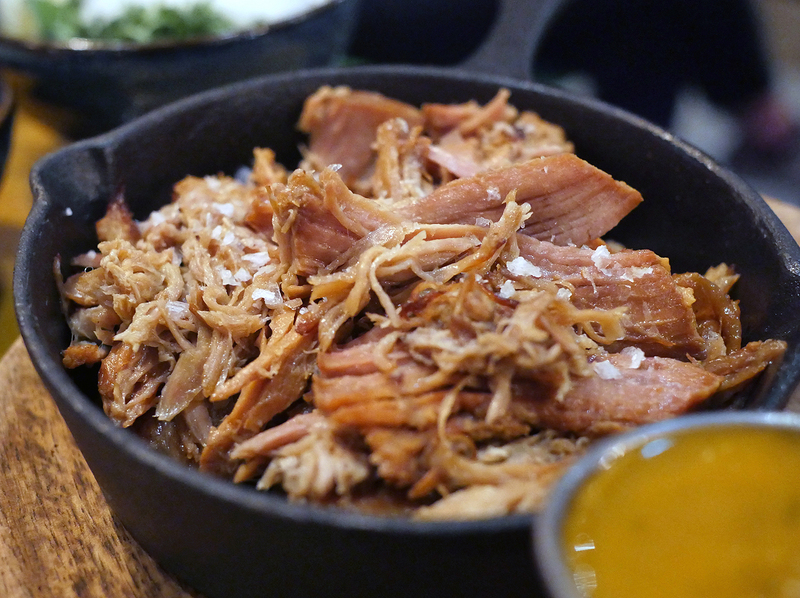 ‘Carnitas’ pork was only slightly less dull. 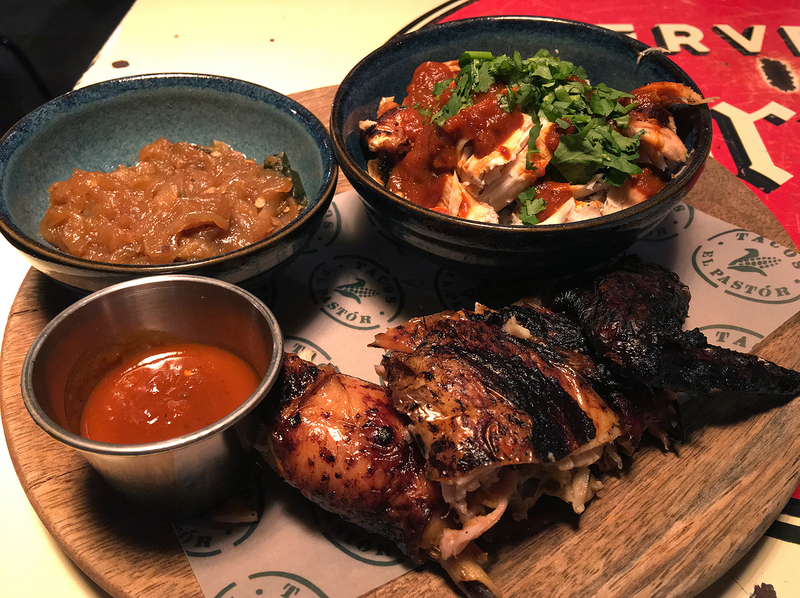 Although both meat and sauce were forgettable, this sharing plate was saved by the numerous garnishes from the bright, crisp onions and coriander to the Quaver-like chicharróns. The standout garnish had to be the pickles though, which were punchy enough to illicit sharp intakes of breath every time Kangaroo Face and I downed a mouthful. One has to shed a tear for the poor soul that has to chop all those onions. Tortilla the chain followed me once on Twitter. An eye brow was raised. 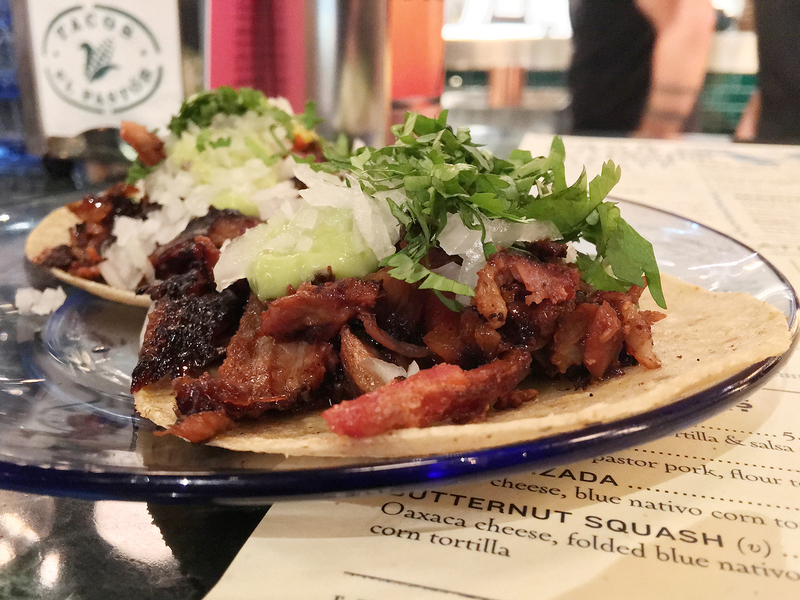 Given the cochinita pibil’s strong showing on the tostada front, the pork’s appearance in DIY taco form was surprisingly deficient of character. While still moist and tender, it was instead dependent on the piquant warmth of the sharp relish and a hint of dark peppercorns. I can’t ever spell ‘cochinita’ right the first time, ever. 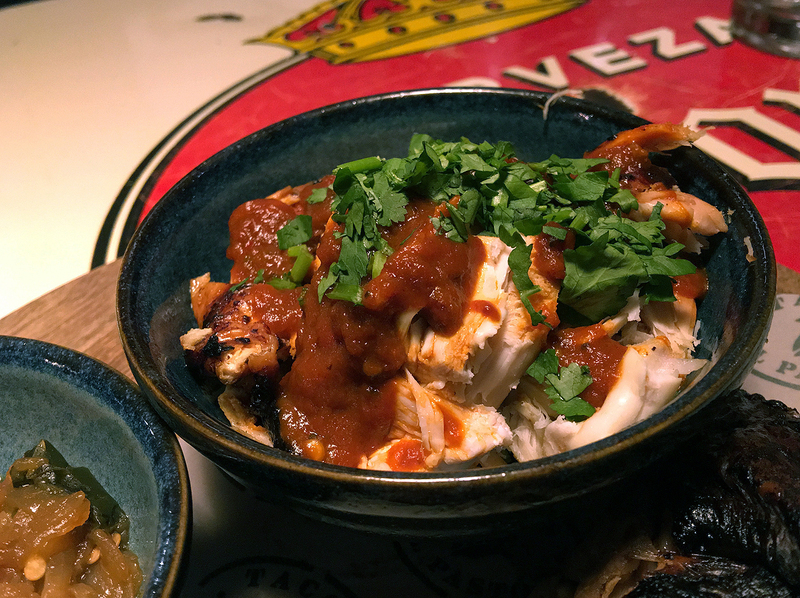 Hake was by far the strongest of the sharing plates, which wasn’t entirely a surprise given that it was prepared and cooked in a Veracruzan style. The flaky yet satisfyingly chunky fillet of fish had a bright zesty moreishness that I couldn’t quite place. Regardless, it was uniquely addictive and made even better by the moreishness of pureed beans and the fruity sharpness of the tomato-based sauce. Don’t hake me. I’m just telling it like it is. Soft and fluffy, just like me. Plaza Pastor, Casa Pastor’s covered courtyard, is frankly a rather uncomfortable place to eat during the winter. Even with the aid of the provided blankets and the heating lamps, which were only really effective if you’re sitting directly underneath one, the frigid experience proved to be more of an ordeal than a pleasure. 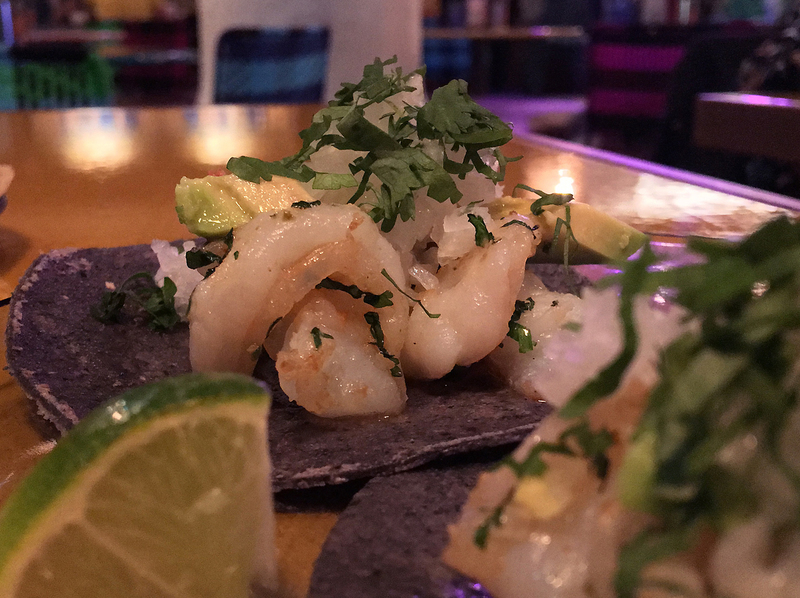 Plaza Pastor may come into its own when spring and summer return, but only if the kitchen and the menu get a swift kick up the backside. 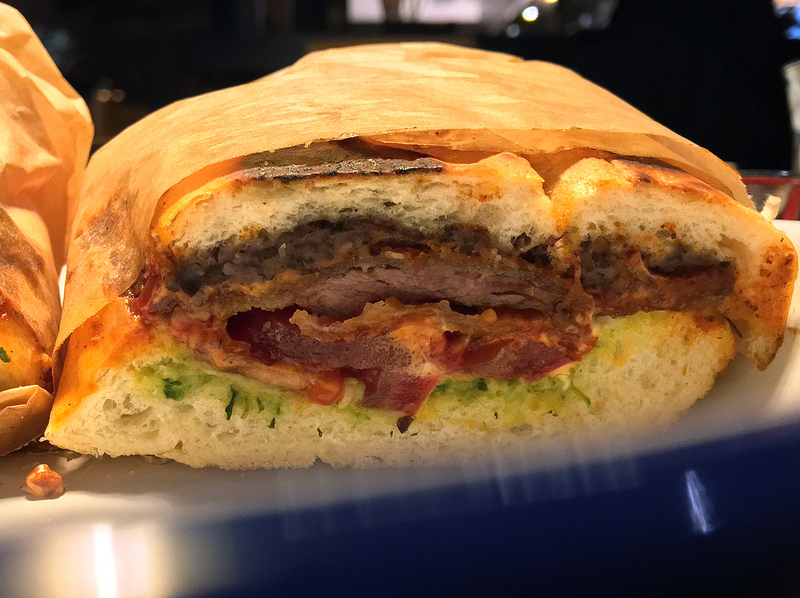 Various dishes were unavailable, from the brawn torta/sandwich to the churros, while the ones that were available were somewhat lacklustre. While the bread in my torta stayed out of the filling’s way, much like the tortas I tried in Oaxaca, that filling was largely dependent for flavour on the sweet, smoky, lightly spicy sauce and crisp vegetables. The Milanese-style breaded flank steak was an unmemorable affair, with anonymous beef in an anonymous crumb. 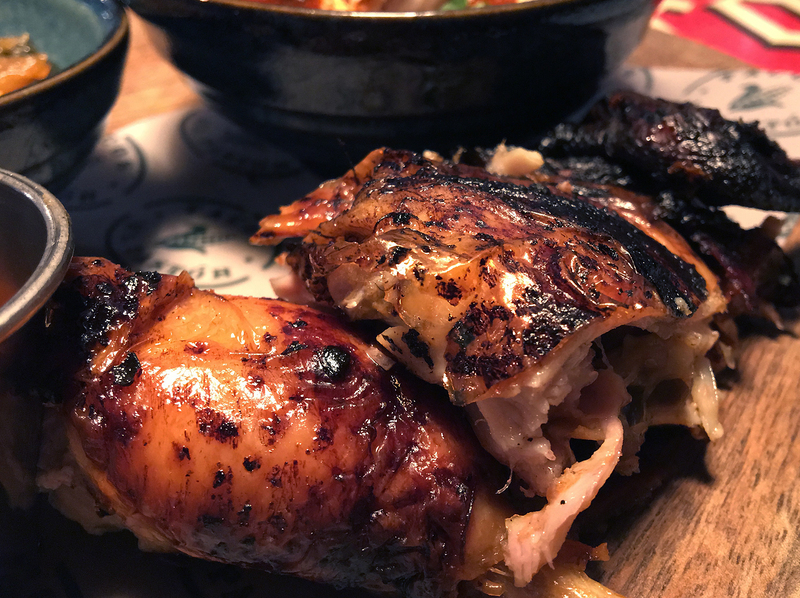 Roast chicken, available in half- or whole-bird portions, was effectively another DIY taco ‘sharing plate’. Like much of its indoor brethren though, the meat was a rather lifeless affair – even the skin was lacking. With the red chilli sauce proving equally limp, I had to derive as much pleasure as I could from the high quality tortillas and the sweet sweated onions. The breast meat arrived diced, while the thigh and leg meat was served on the bone. Plaza Pastor sometimes has live music. Which, depending on your predilection, is either compelling or repellant. If there’s one part of Casa Pastor’s menu that was consistently enjoyable, it’s the desserts. Corn cake may sound and taste a bit Jolly Green Giant, but the sweetness of this moist, tightly crumbed treat was addictively delicious from beginning to end. 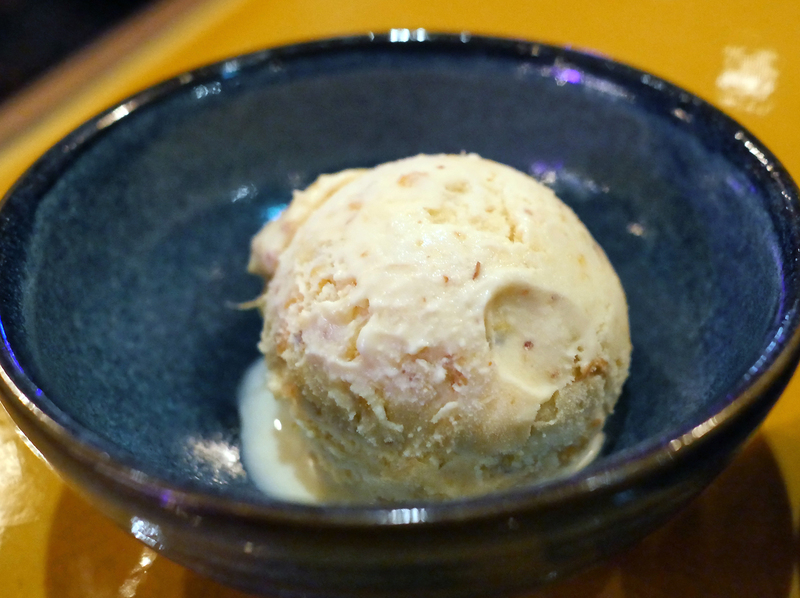 It was made even better by the malty sweet refreshment of the smooth corn-flavoured ice cream. What do you mean these captions are corny? How dare you! The corn cake was consistently delectable. 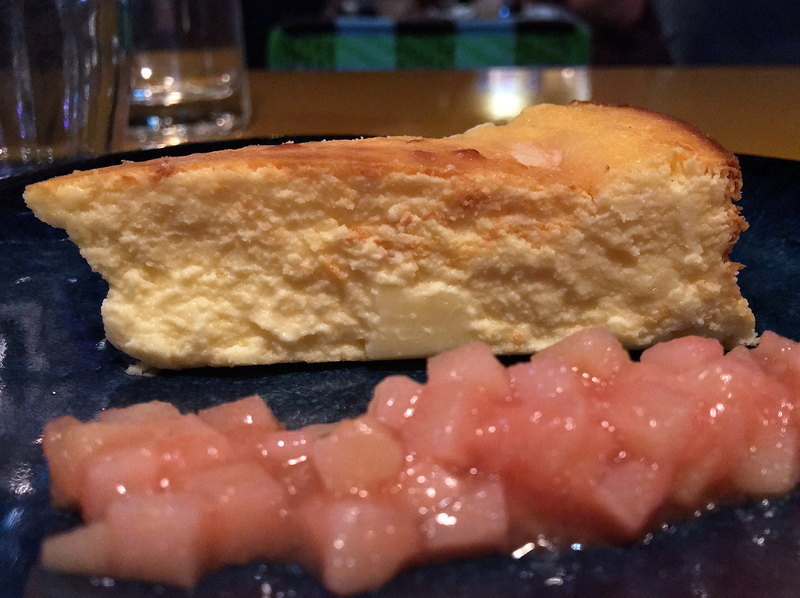 Although the guava compote accompanying the cheesecake was a damp squib, that didn’t and couldn’t detract from the cheesecake’s ample charms. Thick and dense, yet with hints of cottage cheese-like clumpy richness, it tickled my lips and oozed down my gullet with the sensual grace of a playful lover. The ‘Bounty Bar’ from El Pastor makes another appearance here and it’s much improved. 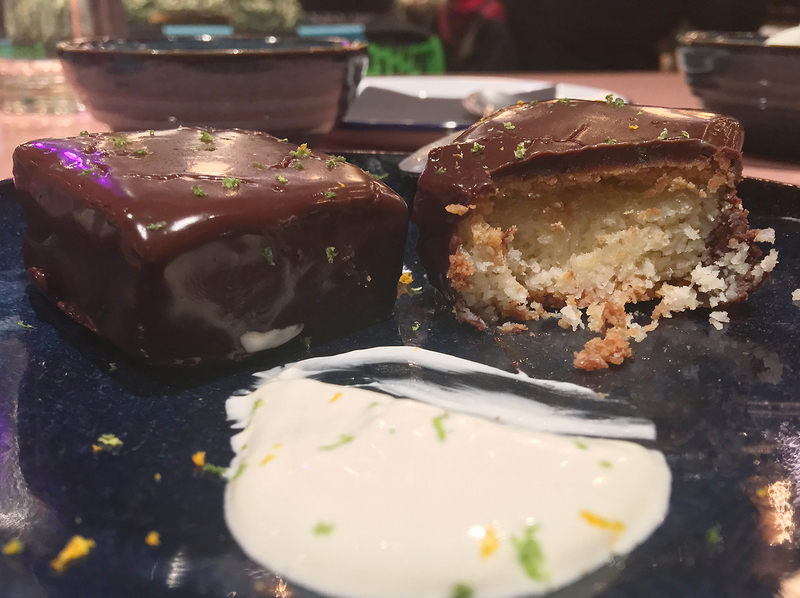 While it still won’t set the world of chocolate alight, the respectably dark obsidian coating and moist coconut filling were still enjoyable – especially when taken with the key lime-ish cream. Mutiny at the bounty bar. The chocolate pot was, unsurprisingly, quite similar to the Bounty Bar given that it used many of the same ingredients. The lightly bittersweet chocolate mousse was neatly offset by the modestly zesty lime-flavoured cream. 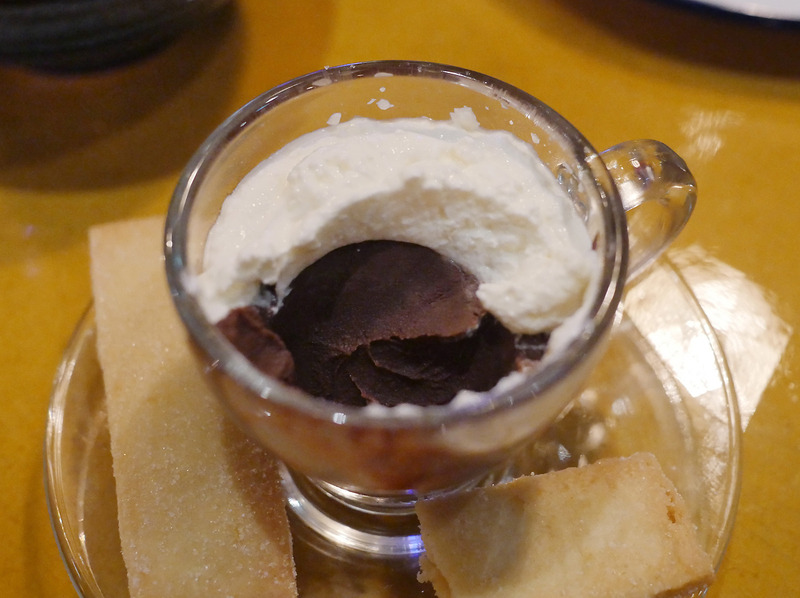 Lightly butter and sugary shortbread-style wafers were an odd touch – too fragile to serve as spoon substitutes, yet not really complimentary enough to slot into the mousse and cream as an integral component. 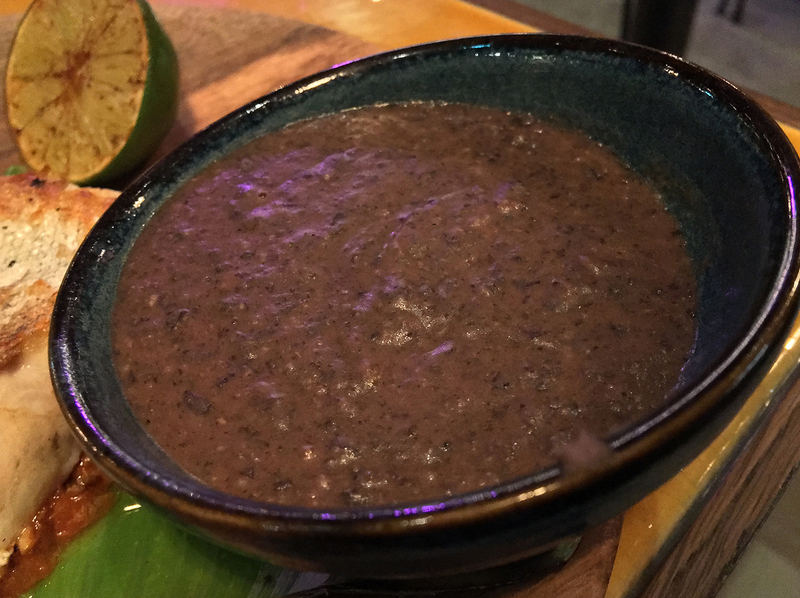 It’s somewhat disappointing that most of London’s Mexican restaurants haven’t mined the country’s rich history and varieties of chocolate for their desserts. 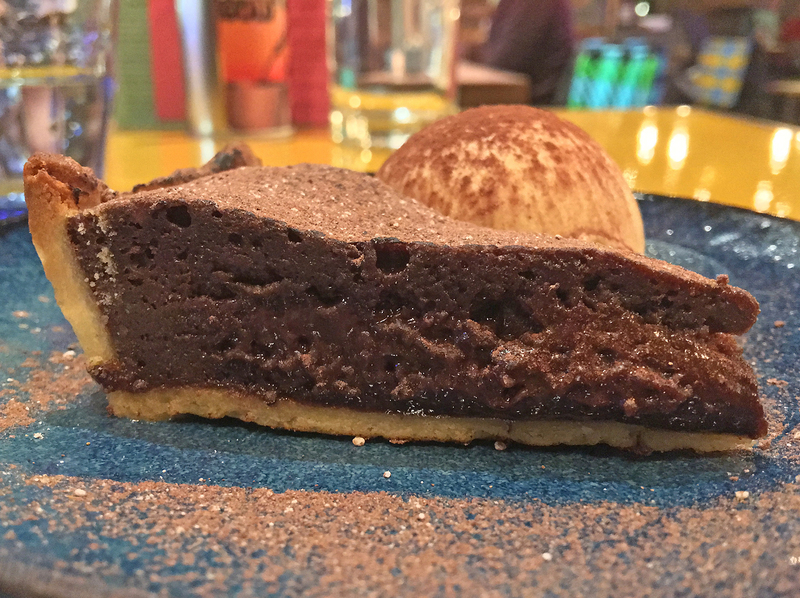 The lightly bittersweet chocolate almost came into its own in the chocolate and mole tart. There was a hint of spiced warmth, akin to cinnamon or perhaps cardamom, but it was too subtle for its own good. 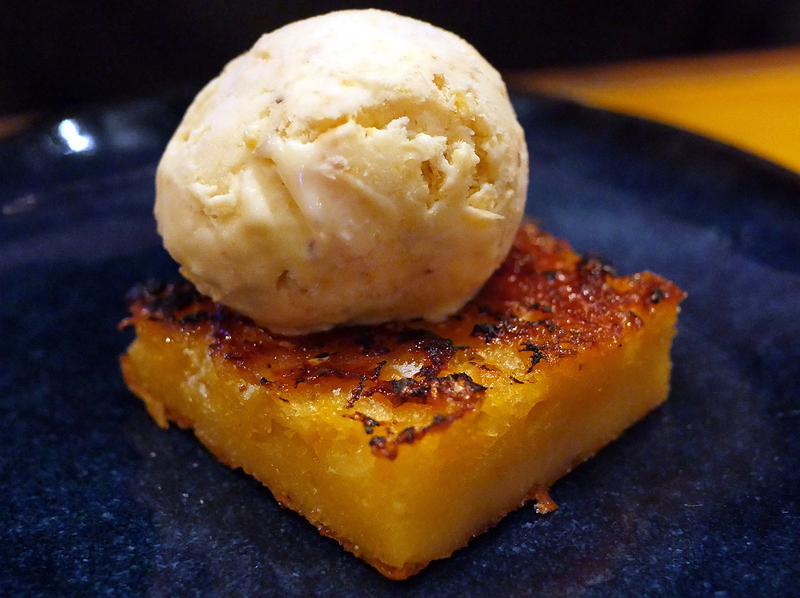 While the chocolate’s dark charms and the tightly crumbed, respectably executed pastry were all fine and dandy, it was the salted caramel ice cream that stole the show. Its precise balance of two bold flavours – saltiness and caramelised sweetness – was truly remarkable, especially considering how very few others get it right. What exactly went into this dessert mole? 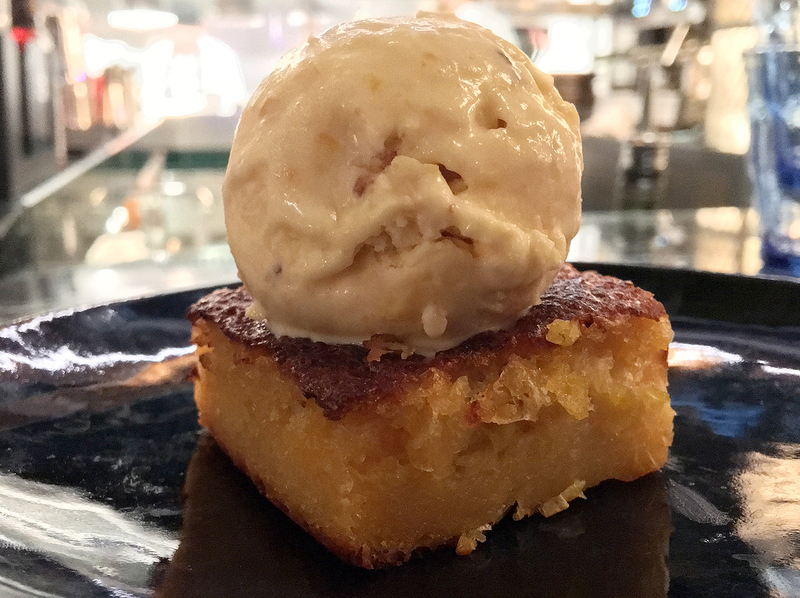 Despite the almost constant absence of the chilli-flavoured ice creams and sorbets, Casa Pastor’s selection of icy treats was almost consistently excellent. 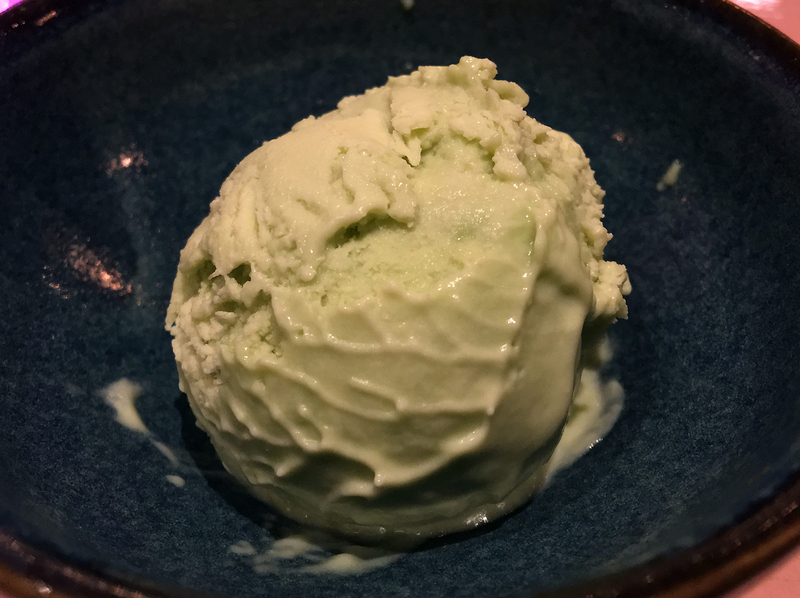 While the aforementioned corn ice cream almost outshines the entire collection, the tartly refreshing lime sorbet still had plenty to offer. 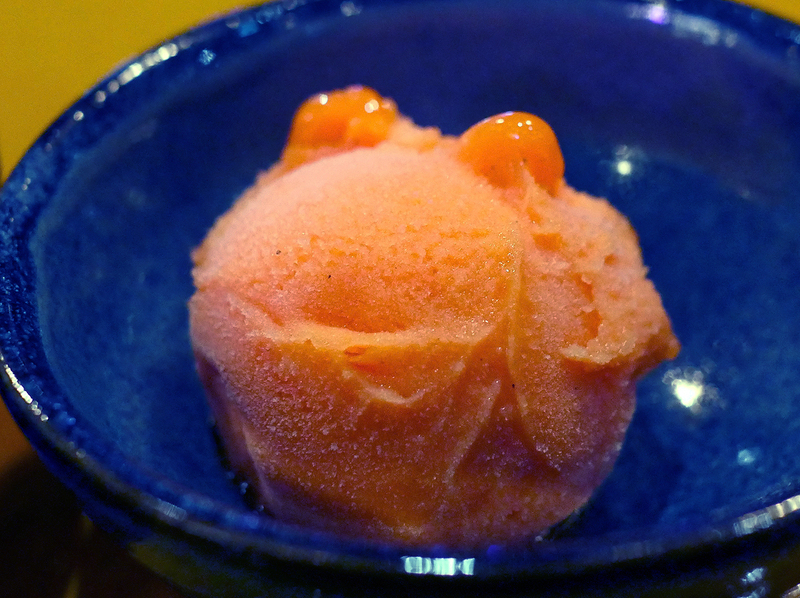 Prickly pear sorbet had a syrupy sweetness sitting somewhere in between watermelon and guava. 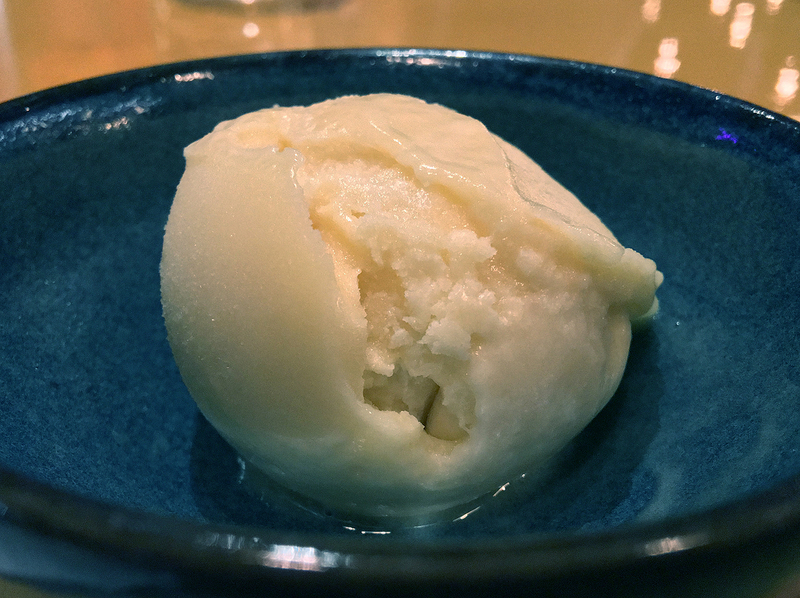 Mango sorbet was true to the fruit, while avocado ice cream was dense and unctuously creamy with a distinctive sweetness. Plus, the entire lot was remarkably smooth with no errant, crunchy ice crystals. 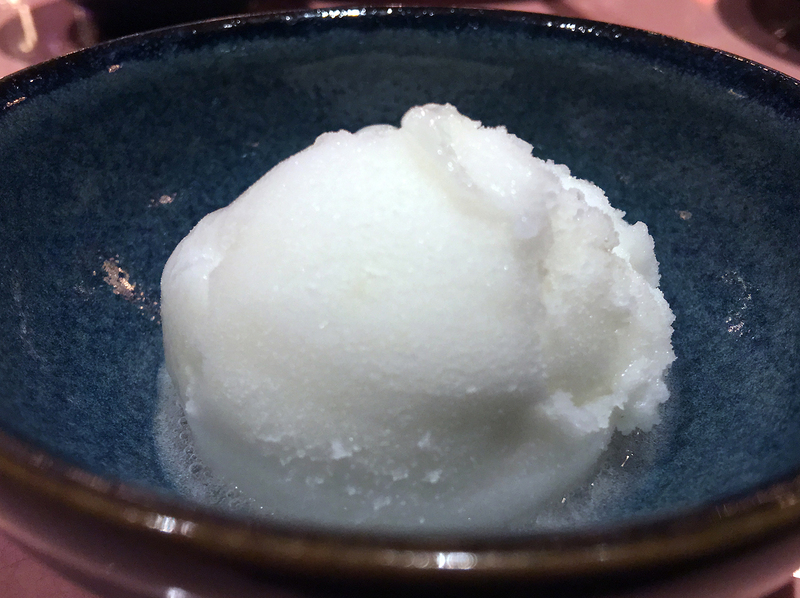 I wonder if one can make a kaffir lime sorbet? Writing about restaurants can be a prickly affair. I wonder why the chilli-flavoured ice creams and sorbets were MIA. Coming up with unique captions can be a right hass-le. 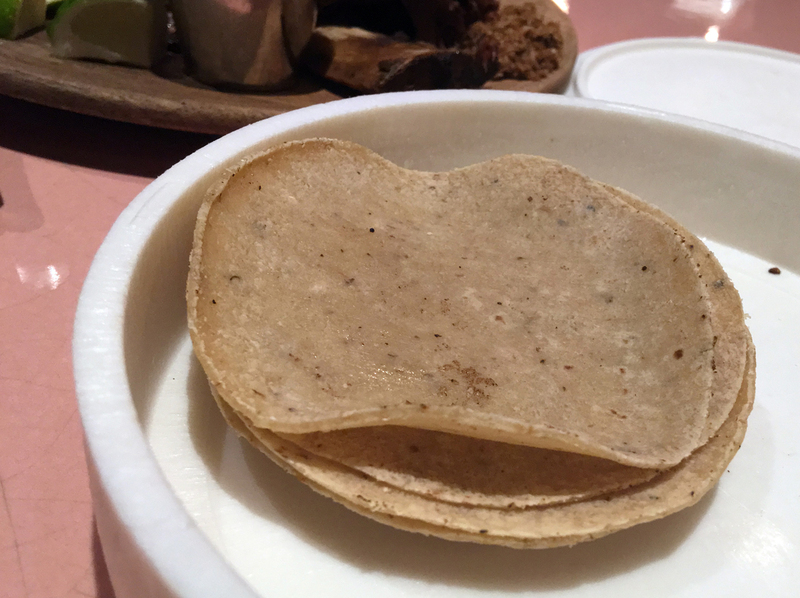 Back in my review of Casa Pastor’s antecedent, El Pastor, I pondered whether that restaurant would serve as a template for a Barrafina-style mini-chain. That sleep-deprived, half-formed observation/prediction appears to be slowly coming true with the arrival of Casa Pastor. While the Kings Cross operation is bigger and even more eye-catching than the London Bridge original, it shares some of the same problems from wobbly ordering systems in the front of the house to even wobblier cooking. 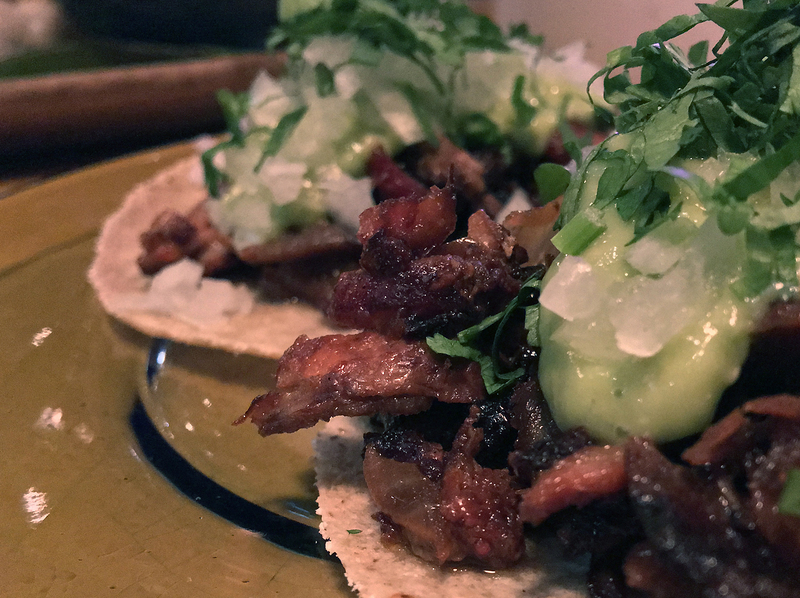 While few dishes were downright bad, consistency was lacking – especially in the eponymous al pastor tacos. 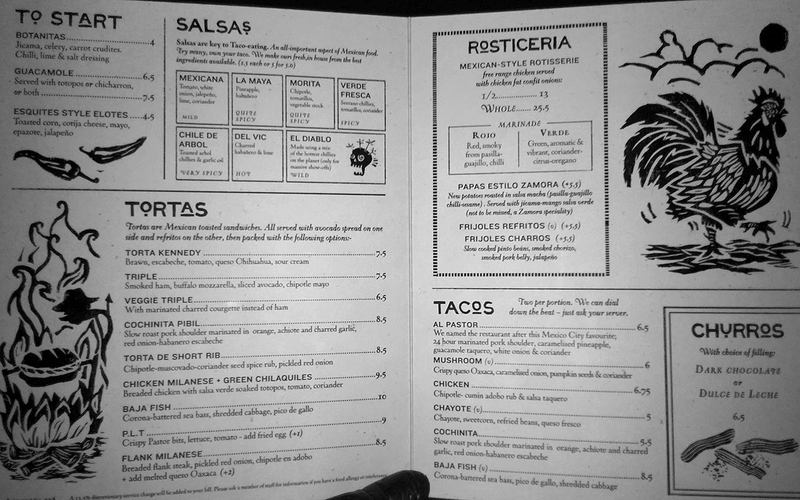 This is problematic, especially when the menu tries to push the standard for Mexican cooking in London forwards. 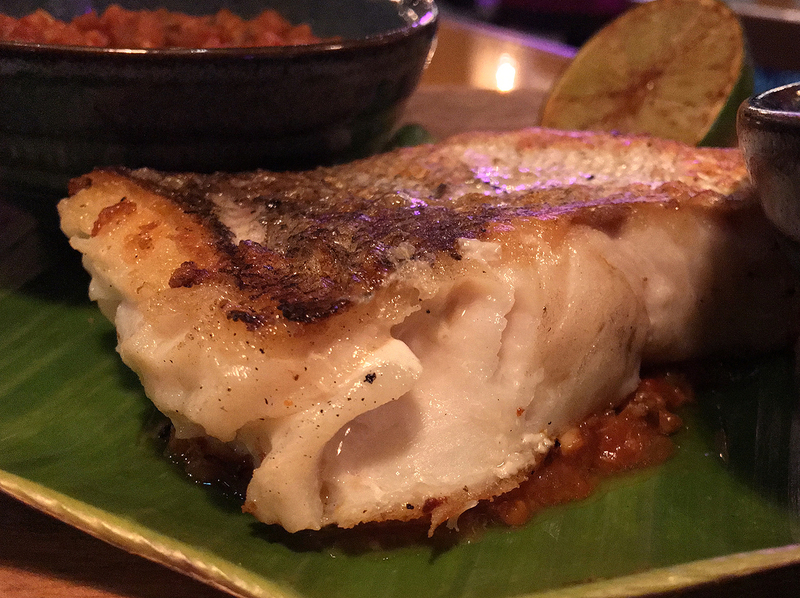 While it sometimes succeeds with dishes like the hake, it falls flat just as often with dishes like the short rib. I have a fondness for the desserts, especially as this is an area where its ambition and skill outstrips that of Santo Remedio. But that comparison only serves to further drive home just how much better Santo Remedio is, overall. Given the commercial acumen of Casa Pastor’s proprietors (who are, after all, the masterminds behind Barrafina), I have little doubt that Casa Pastor will be a success – perhaps even successful enough to buoy the flailing normcore techbro luxe capitalism of the wider Coal Drops Yard development. The question is whether that success will be driven by anything more than Victorian-derived aesthetics and the recommendations of people that don’t know any better. The answer, for now at least, is no. Casa Pastor Opening Hours: Monday-Wednesday 08.00-midnight; Thursday-Saturday 08.00-01.00. Sunday 08.00-22.00. Plaza Pastor Opening Hours: Monday-Wednesday noon-midnight; Thursday-Saturday noon-01.00. Sunday noon-21.00. Tags: avocado, beans, beef, cake, casa pastor, ceviche, cheese, cheesecake, chicken, chocolate, chorizo, clams, corn, el pastor, fish, guacamole, hake, ice cream, london, mango, mousse, mushrooms, oysters, pickles, pork, prawns, quesadilla, restaurant, review, sandwiches, short rib, shrimp, sorbet, taco, tart, tortilla, tostada, tuna. Bookmark the permalink.